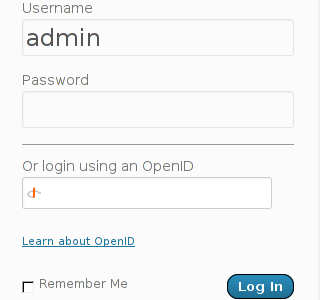 How to add OpenID functionality to WordPress Comments / What is OpenID? 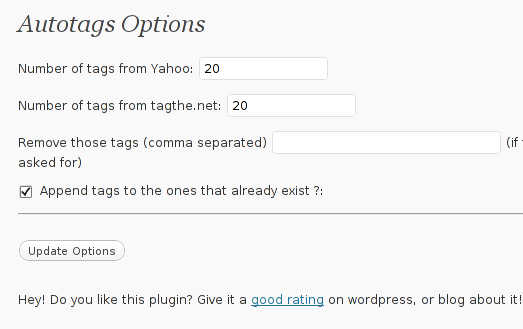 I've recently decided to add Comment as OpenID functionality to my wordpress blog. The reasons to do that is that I myself have today created an OpenID account. Already million of people have OpenID account without even knowing. Most major search engines and social websites like Google, Yahoo, Live Journal, Hyves, Blogger, Flicker, MySpace automatically creates an OpenID account for newly registered users. It is up to the user to check with each of the aforementioned providers what is the URL of their OpenID account. Even though OpenID popularity is steadly rising, I'm sure there are still plenty of users who did not heard, used or noticed OpenID yet. 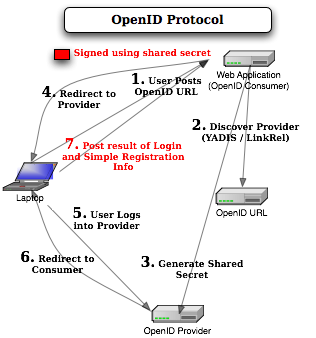 So What the heck is OpenID? For all those who still haven't heard about it, OpenID is a universal web site login system With just one "unified" OpenID account the user can login to multiple websites with no need to create multiple accounts across each and every different website on the internet. The only requirement for the user to be able to use OpenID is that the website in question to have (support) for OpenID credential and the user to have existing OpenID account. Therefore using one single OpenID you can sign in as a certain user to multiple websites on the internet with no need for annoying registration process to each and every new website you encounter. Another benefit OpenID gives to the user is that you don't have to memorize or keep notes of a tens or thousands of different login accounts across the many different websites on the net. Using OpenID also saves the user from troubles with forgotten password or username as just one OpenID login is used to login you everywhere. For WordPress blogging platform the Russian Igor Korolev, has written a wordpress plugin – comments-to-wordpress . This plugin adds support for OpenID authentication in WordPress comments. 1. Download the comments-with-wordpress plugin and unzipAs of writting of this article latest comments-to-wordpress plugin is ver. 1.4. Small noet to make here: If you're not using the default WordPress theme (like I do), you will have to edit the /themes/your-theme-name/comments.php instead. Save the comments.php file and you Identification for new comments with OpenID will appear in your wordpress Comments form. Downloading and enabling the other openid plugin also adds support for OpenID login in your http://your-url.com/wp-admin/ login page. As of time of writting according to http://openid.net/get-an-openid/what-is-openid/'s website there are over 50000 major websites on the net already accepting OpenID login. With this said I think OpenID is not a recommended login technology for Windows users, as windows is famous for being vulnerable to so many Viruses and Spyware/Malware etc..
With non-free software OSes like MS Windows, the user never cannot for sure if the system is infected, hence using OpenID to transfer credentials over the internet or store an OpenID SSL/(TLS) certificate to identify in websites is TOO DANGEROUS! From a SEO perspective sitemap.xml and sitemap.xml.gz are absolutely necessary for a website to bewell indexed in google. After some investigation I’ve found out a perfect program that makes generation of sitemap.xml in joomla a piece of cake. What makes JCrawler even better is that it’s open source program. The installation will be done in a few seconds and you will hopefully be greated with a Installation Success message. There a screen will appear where you can customize certain things related to the sitemap.xml generation, I myself used the default options and continued straight to the Start button. Further on a screen will appear asking you to Submit the newly generated sitemap to; Google, MSN, Ask.com, Moreover and Yahoo , so press the Submit button. That’s all now your joomla website will be equipped with sitemap.xml, enjoy! The university where I study right now ABS – (Arnhem Business School) does some outbound port filtering. Therefore I couldn’t access my Gmail email through POP3 neither send my emails via the SMTP protocol. In other words the port numbers 25, 110, 995 and 143 are filtered by the University System Administrator, or whoeverdid built the University network. This I found pretty annoying because I’ve noticed the Teachers who work on their Desktops are able to access their email addressesvia a normal POP3 and SMTP protocols . Of course there is likely a good reason that the university filters the traffic for students accessing internet via their notebooks through the Internal built University wireless network, however as I feel very convenient with checking my mail via Thunderbird (Icedove), it’s really, really irritating to go for a browser each and every time I’d like to check my Gmail. In that reason an idea come to my mind to get through the SMTP, POP and IMAP protocol access restrictions. The idea is not something brilliant or something too smart, however it prooved to work so I was quite happy with it. My idea was to simply use my personal Linux router as a jumping off place to access gmail. To do so first think I did was to scan my Linux router and check which ports are filtered from Arnhem Business School University firewall and which one are allowed to pass traffic. After a while I have found out that the ports range from 2010 up to 2050 are freely allowing traffic to pass without any firewall restrictions. In order to fulfill my desired task I first experimented a bit with some iptables nat PREROUTING redirect to destination rules. However after many tries without success I finally decided to abandom this approach and try with another one. In the above configuration directives the first IP address 83.228.93.76 should be changed and adjusted with your actual Linux router external IP address. The second option 2010 is the port number to accept connections from your host to be redirected to the IP 74.125.65.109 , the last argument is the port number to where you desire to redirect 995. That’s all, now go to your Thunderbird, Outlook or any POP3 email client of choice and just change the mail server hosts and ports with your Linux router IP address and ports where you just binded the redirect.Of course the Linux router IP could also be used, if you don’t have a hostname associated with it. First Thanks for the wonderful soft. How can I get through that? expects that you have BLOG_FEED_URL set in blog.conf. blog.conf before it will work. Good luck! Now here is the yahoo.sh nanoblogger yahoo search plugin that Kevin sent me. After putting it in my nanoblogger plugins directory and enabling BLOG_FEED_URL, now all works like a charm.